When can I use Killer Queen's abilites? I have some questions that I hope somebody might be able to answer. Do sticky fingers or killer queen have any special abilities in this version? I cant seem to find the bomb ability items from the 1.6 version for killer queen and sticky fingers doesn't really seem to have any abilities other than punching. Also is the vampire part of the mod working? I cant seem to turn into one after putting on the mask and punching things for a bit. One little thing tho I guess it could be considered a bug but the throwing knives seem to go the opposite direction when thrown. I haven't messed around with them too much so I don't know if it happens every time. But other than that all I can do is thank you greatly for putting your time into updating this mod. The changelogs document evrything. Your answers might lie in older versions. Killer Queen and Sticky Fingers have no powers. Vampirism caused by villagers or players, not every entity. Knifes fine in 1.12.2, issues in 1.7.10. If you shift-jump with sticky fingers it'll give you 4 extra yellow (whole) hearts. idk where thats from tho. Hello there! Can I reprint it to mcbbs? This is the largest Minecraft forum in China. I will attach the address here. Hello! You can reprint to mcbbs but do not reupload. Only an attached address redirecting to here please. Thank you. If you can provide a language file for translations as well, that can be added in future updates and available from your side too. Can this mod be used in the server? Stand power is used for all the moves and it recharges when you dont have you stand out, and it can be increased depending on your EXP levels. can you make the stands have more proportional human looks, similar to how killer queen looks in the mod with textured faces. also can you add a block button with the stands crossing their arms. do non stand user in game see the stands or just see the stand users being flown back as they are fighting each other? can i ask though is there a possibility to remove a stand in survival whiteout dying ? Nope, not in legit survival. If you cheated a Disc Power or a Creative only item in you could use those. So what is the next update goal for the mod if I am allowed to ask? Excuse me when time stop gets ironed out will star platinum get access to it? 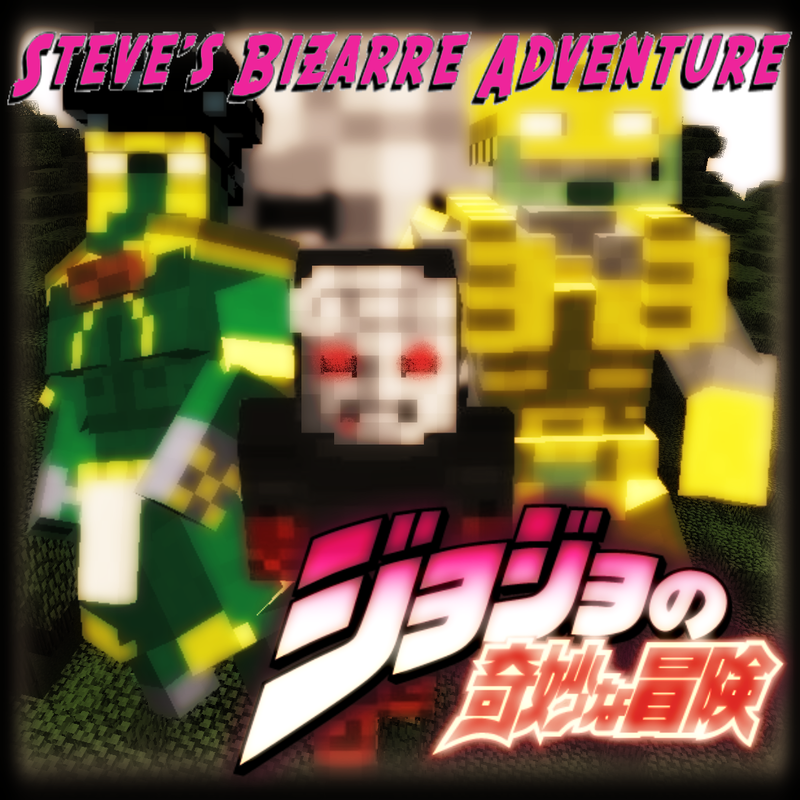 In 1.7.10 Star Platinum did have access to it. So yes he will. The original mod had so much potential and looked like the creator had the ability to go far with it, and it was disappointing when he abandoned it. I'm glad somebody finally decided to pick up where they left off. I was considering doing it myself because I have a decent amount of experience with Java and love Jojo, but I don't really have any experience with minecraft modding. - It would be cool if the stand arrow and stone mask were looted from dungeons instead of being able to be crafted, so it's more "lore friendly" for the lack of a better term and makes them more valuable and difficult to obtain. The mod is looking great so far and I like the new stuff you've added, I hope you add more! Find out more about these numbers in chat for me please, if its for the Hand, then you were sneaking, if not then I don't know what's causing it. Is it every stand or specific ones? As for other "issues" there are lots of config options available (have to change them from the folder in the text file, not in-game) that affect most of them. Some are actually design choices such as the cloak burn timer. The length of that is perfectly fine, the vampires shouldnt be out in the daytime and the cloak is just a way to help keep players alive during the day if for instance they needed to quickly do something outside or protecting against bright light sources (which lore wise isnt true, but for minecraft is the only way really). Don't know how to add stuff to chests in dungeons and such but it's a nice idea and I'll look into it. Hamon Users have Hamon, and thus their blood is toxic to vampires, so using it for the mask is, imo, backwards. And as you know, the mod is still young (from me at least) so there's plenty that is yet to be done with the mod. Just be patient. Man i love this mod, hope you still keep working on it. I think he should just keep going with the 1.12.2 version because more people play 1.12.2 modded and it will be able to be used alongside many more mods.